Image by ChiBart via FlickrBy the way, Happy New Year! 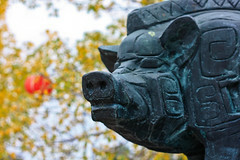 It's the Chinese Year of the Boar, year 4704 by the Chinese calendar. it is "Spring Festival" in chinese.